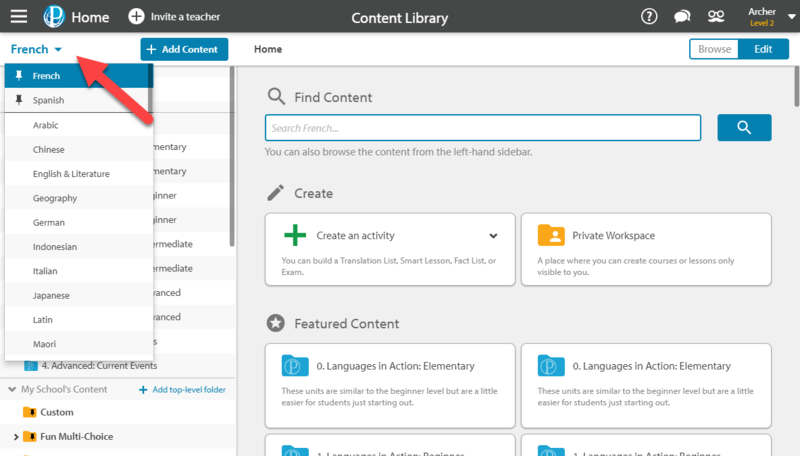 You can select and assign tasks for your students while browsing through your Content Library. To browse through the content that we have available, select the purple Content Library tab. 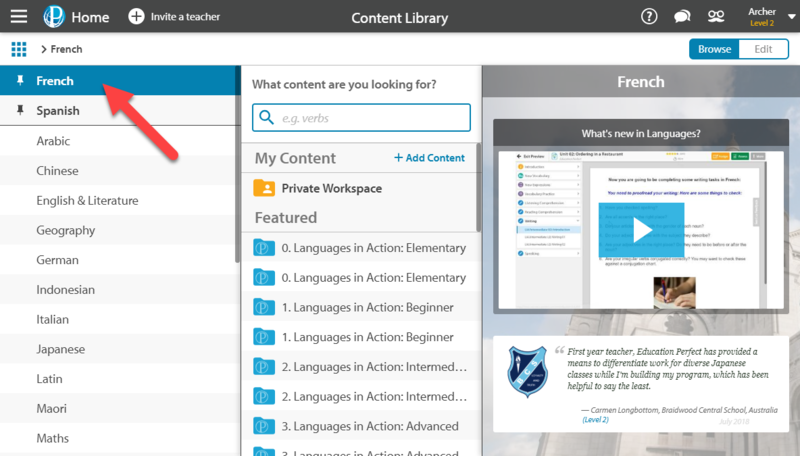 From here you will be able to select which subject you would like to browse by selecting it in the left-hand column. 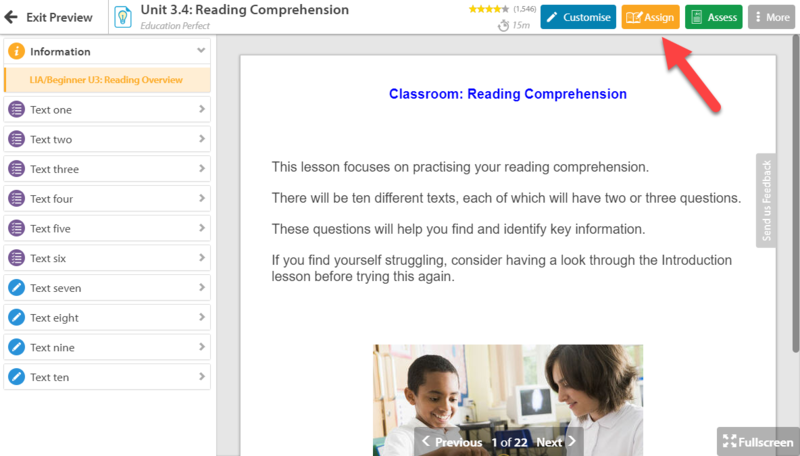 Smart Lesson Smart Lessons are lessons that are made up of information slides with multiple styles of questions. List Lists are a list of words that can either test your students' spelling or vocabulary. 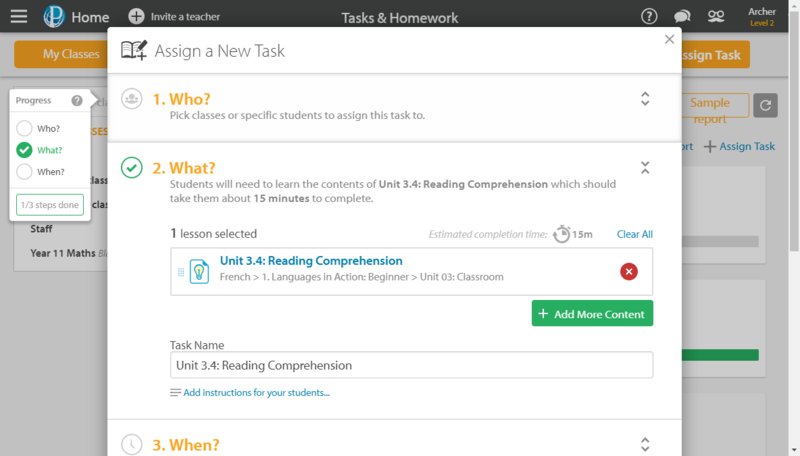 Once you have found a lesson that you wish to assign as a task to your students, you can select the lesson and click the yellow Assign button under the selected unit's information. 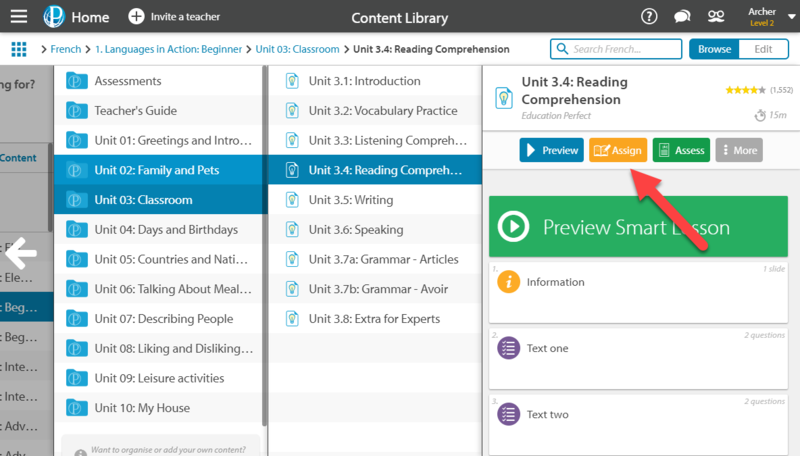 For a Smart Lesson, you can preview the lesson first and select the Assign option from within the preview. If you would like to assign only a portion of the selected lesson, you can edit the lesson to suit your needs. For more information on how to do this, you can read through our help guides for editing a Smart Lesson and for splitting up a list. If you are navigating the Content Library in Edit mode things will look a little different. You will be able to select which subject you would like to browse by clicking on the drop box at the top left-hand corner of the screen instead of through the sidebar. 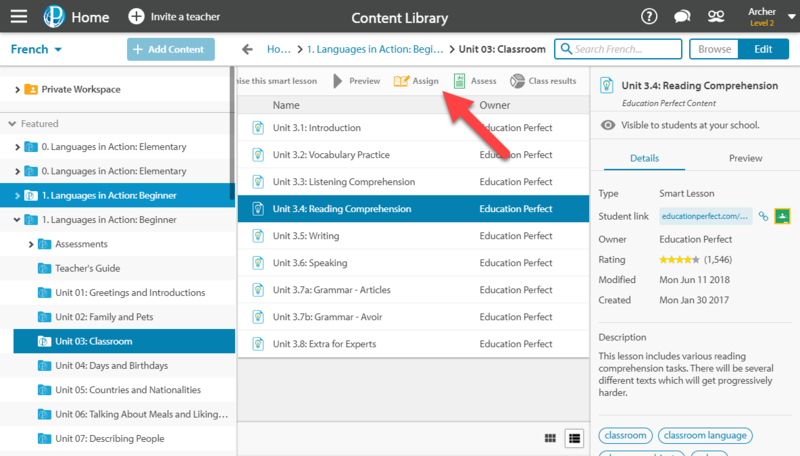 Once you have found a lesson that you wish to assign as a task to your students, you can select the lesson or lessons and click the Assign button at the top of the screen. If you do not select a specific lesson within the folder you are browsing, all lessons within that folder will be assigned to the task. Once you have selected Assign, you will be prompted to fill in the rest of the details of the task. For more information on assigning a new task, you can read through our help guide here. If you would prefer to test your students' knowledge on a specific lesson you can assign the lesson to them as a Quick Test rather than a Task. 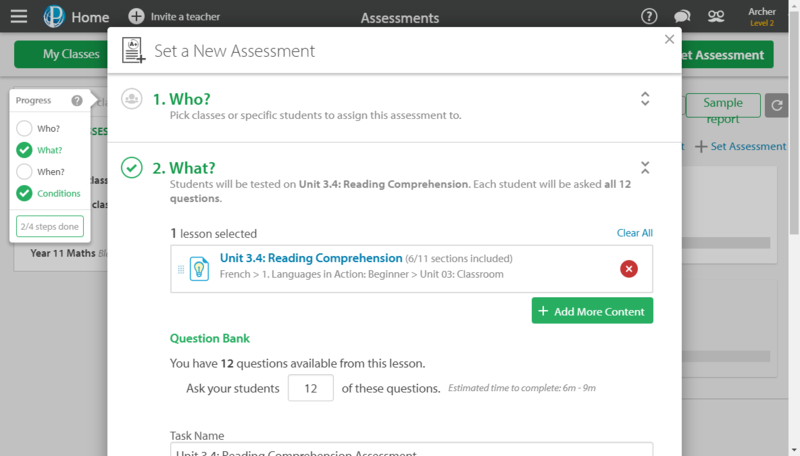 You can do this by selecting the Assess option rather than the Assign option. A Quick Test is an assessment based on existing learning material. Students will answer these questions under exam conditions; they will have a time limit and will not see the correct answers until marking is complete. Once you have selected Assess, you will be prompted to fill out the rest of the details for the Quick Test. For more information on assigning a Quick Test, you can read through our help guide here.